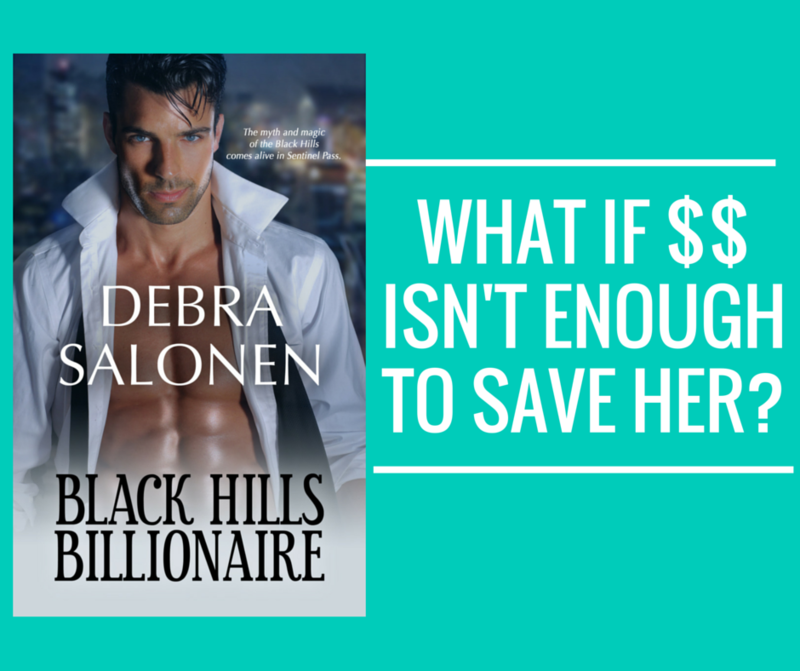 Happy Book Birthday, BLACK HILLS BILLIONAIRE–Black Hills Rendezvous, Book 2! I can’t believe it’s been three years since the second book in my Black Hills Rendezvous series came out. Shane and Jenna were two of the most complicated protagonists I’d ever written at that point. Their histories were difficult and entwined in a way that made predicting a happy ending nearly impossible to envision. They came soooo close to meeting, falling in love and living a fabulous life until something unthinkable happened, until a dark force ruined everything. 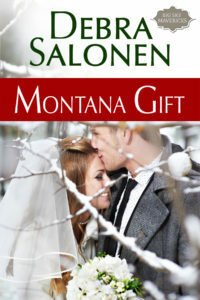 But when Shane’s best friend sets the game in motion in BLACK HILLS BABY (Book 1), they’re given a second chance–if Shane can get past the guilt he carries from a deathbed promise he made. Here’s one of my favorite snippets to feature: their First Kiss. Q: So, when is a first kiss not a kiss? A: When you’re in the Mystery Spot. She took a deep breath and walked straight to the middle of the room. Almost instantly, her equilibrium went haywire. She stepped on what looked like a level surface and felt her foot drop a quarter of an inch. Just enough to throw her balance off. She staggered, which prompted Shane to dash into the room. He looked at her so intently she realized she must have said the word aloud. His usual serious look was back on his face. He nodded and pushed off from the wall to lead the way. He only made it a few steps before listing sideways, like the Titanic after meeting the iceberg. She tried to keep him upright, but his momentum was too great. They both staggered a few steps then crashed into the wall. The wall with the drawing of a four-poster with a patchwork quilt on it, and they landed smack dab in the middle of the one-dimensional mattress. She laughed to keep her panic at bay, but to her surprise she didn’t feel the usual fear that came when someone got too close, too fast. In fact, she liked the feeling of being in his arms. Warm. Secure. Protected. He arched his neck to look over his shoulder, his skepticism clearly back in place. Laughing, she put her hands flat against his chest and pushed back. She waited for her balance to return, the way it usually did, but if anything, she was even loopier. Her hands wouldn’t leave his shirt. Her breath was shallow and shaky. Because she knew he was going to kiss her. Kiss. His mouth touching her mouth. No. She didn’t kiss. Or touch. Or… But no words of protest made it out before his lips touched hers. Available from the vendor of your choice: BUY. Or, read the series in Book I of the Black Hills Rendezvous anthology: BUY. Holy thunder and lightning, Bookgirls, that was a storm! 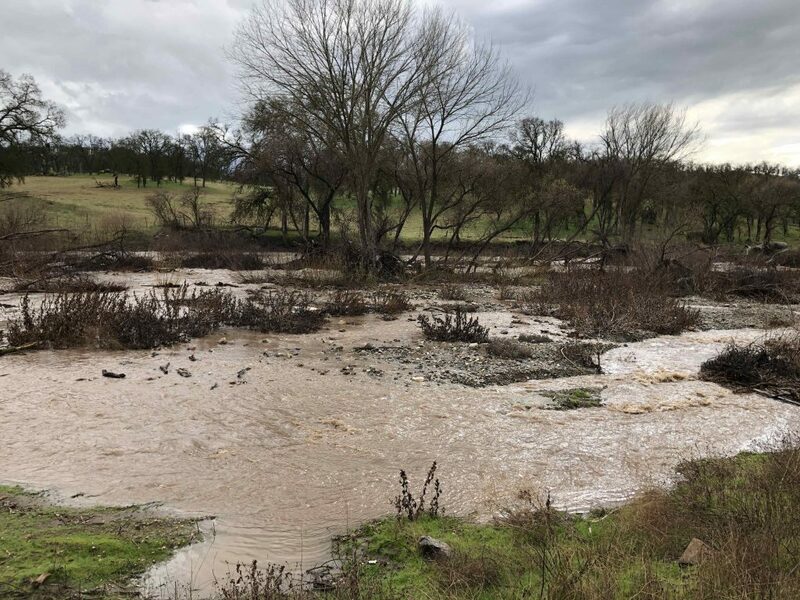 My back yard after the last powerful storm passed through. I usually write my blogs ahead of time, but I just got my WiFi back after two days of no connection. Since I live in the country, I signed up for a satellite service to provide access to the world at large. Well, that’s a slight overstatement since the “service” is so lousy, but regardless of the lack of speed, most days I do have access. But for the past two days, the modem’s power light came on but no one was home, if you know what I mean. The so-called brains of the outfit wouldn’t wake up. And when I tried to go online, I’d get dire warnings about not having a secure server. I checked my roof to see if the dish was still attached. Yup. Was it still facing in the right direction? I couldn’t say, but since another couple of waves of storms were predicted, I decided to leave the unit unplugged and focus on writing. So, here’s my dilemma: all the lights on my modem are twinkling brightly. Obviously, I’ve decided to start my day online–I’m writing this in WordPress, but what now? How do you avoid the temptation of checking email and social media when you have other more important things to do? What is it about February? First, we agree to let an overgrown squirrel predict the weather, then we blithely allow the flower industry, candy makers and greeting card people to run rampant over our hearts. 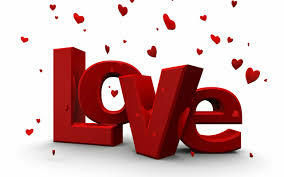 One GOOD thing to come out of this Valentine mayhem is celebrating Romance Novels. I mean, why wouldn’t we? Boy meets girl. They have issues. True love prevails. They live happily-ever-after. People who don’t read romance novels call that a formula. I call it magic. Reading can be magical. A good book can transport you out of a life that might be missing conversation–let alone conversation hearts–into a world of rich emotion, forgiveness, and joy. There may even be chocolate. Eileen AW on Finally Friday: to blog or not to blog…? denise on Finally Friday: to blog or not to blog…? Kathleen Bylsma on Finally Friday: to blog or not to blog…? 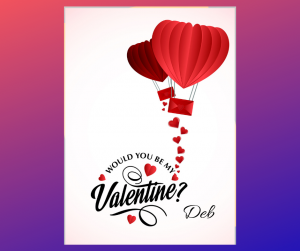 Connect with Debra on Facebook, Goodreads, Twitter, and Pinterest! 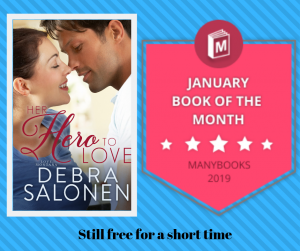 Don't miss a single Debra Salonen newsletter! FREE for a short time! This was a lovely surprise! I'm so excited to find new readers who loved this book!! !